The concept of ‘organised crime’ is constructed and mobilised by a milieu of complex factors and discourses including a politics of law and order, and international insecurity, combined with the vested interests and priorities of scholars, politicians, government officials, and policing authorities. This book challenges existing assumptions and accepted understandings of organised crime, and explores the ways in which it is amplified and reconstructed for political purposes. This book critiques how the constitution of the ‘organised crime problem’ in academic and political discourse provides the conditions necessary for the development of an extensive and international architecture of law, policing, surveillance and intelligence. It examines emerging challenges and future directions including the impact of technology on new problems, and for transnational policing, such as the ease with which the Internet enables crime to be committed across borders, and for electronic communications to be protected with strong encryption hampering interception. 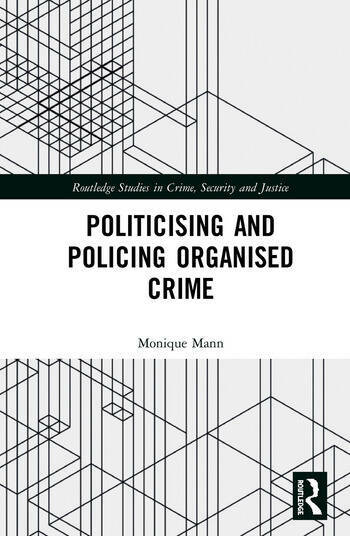 No other text presents an integrated and comprehensive study of both the politicisation and policing of organised crime, while questioning the outcomes for society at large. Drawing on international fieldwork and interviews with senior national and supranational policing personnel, this book compares and contrasts various narratives on organised crime. It will be of interest to students and researchers engaged in studies of criminology, criminal justice, organised crime, policing, and law. Dr Monique Mann is the Vice Chancellor’s Research Fellow at the School of Justice, Faculty of Law at Queensland University of Technology. She is advancing a program of socio-legal research on the intersecting topics of police technology, surveillance, and transnational policing.